Boring Errand Turned Food Truck Adventure | how 'bout some cake? One of the coolest things about life is that you never know when you’re about to have “an experience”. Yesterday was the perfect example: We were at the auto parts store getting a new brake light for my car when Jason spotted a food truck in the parking lot across the street and suggested we go get something to eat. Now, this was not one of those chic upscale food trucks that are all the rage now. This was a glorified roach coach. The lot it was parked in belonged to a small strip mall offering jewelry, bail bonds, and pre-paid phones. We parked, browsed the menu, and ordered in broken Spanish. I had a couple of fish tacos and Jason ordered octopus salad and a shrimp and steak taco. I didn’t care much for the octopus (too fishy), and I didn’t taste his tacos, but mine surprised me by being some of the best I’ve ever had. They were freshly fried (I burned my mouth, but it was worth it), and a great deal for just a few bucks. We ate standing in the shade of the truck, resting our food on these little metal railings. It was the best trip to Auto Zone ever. Maybe I should tag along on more boring errands! 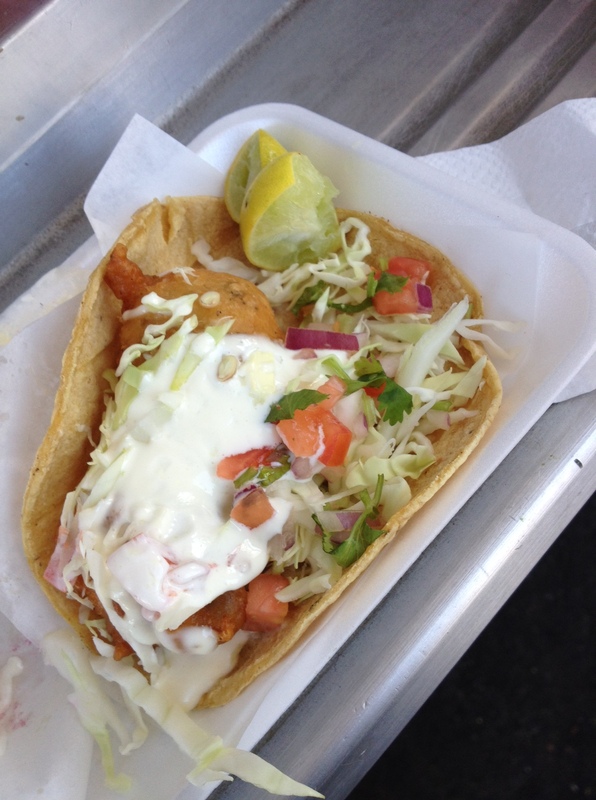 This entry was posted in Food & Recipes, Indulgences, Travel and tagged fish tacos, food trucks, mexico street food, San diego food trucks. Bookmark the permalink. Yummm! 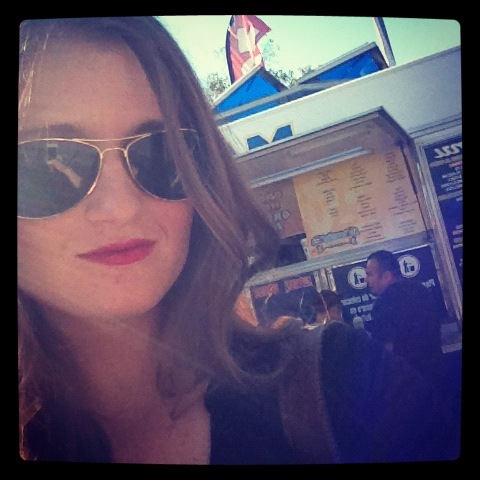 Food trucks are my favorite. I’m always amazing how something delicious can come out of a little vehicle! I know there are meet-ups here too, but I don’t leave for lunch so I think I’m missing out on all the really good stuff! It’s great food! I had a few tacos and their fabulous spicy hot cocoa and I loved everything! Follow them on twitter @whereslloyd to find out where they will be on any given day. I was a little nervous about being let down after reading so many good reviews, but it was better than I had hoped! And the guys are nice! Well done!I wish there were more great food trucks like this in Buffalo!